"An old soul in a young man's voice" is the headline on the front page of the Los Angeles Times Calendar section. The article is about 26 year old Keaton Simons, whose voice is described as having a "lived-in quality that will echo in our minds and hearts for years to come". Keaton's fascination with music surfaced early. Singing since he could talk and picking up Beethoven on the piano by ear while still in preschool, Keaton finally started his lifetime love affair with the guitar at age 12. As a 17 year old out of high school, Keaton started thinking about college. He decided on The Evergreen State College, located in Olympia, Washington. The area, which has become known as a fertile breeding ground for music and art, proved perfect to set in motion his initiation into the immense world of music. It was there that Keaton started writing songs. He dove in headfirst, taking on courses ranging from 20th century classical composition to Indonesian gamelan music to jazz and quite a lot in between. Keaton's years at Evergreen not only introduced him to diverse global music but also taught him to incorporate everything into his own sensibilities. Major record labels have accused Keaton of being too diverse to contain. After an early graduation, it was back to Los Angeles, playing music with old friends like Tre Hardson (of The Pharcyde) and new ones like singer N'Dea Davenport (of the Brand New Heavies), Kim Hill (of the Black Eyed Peas), underground hip-hop legend Medusa and appearing on Jay Leno's TONIGHT SHOW with hip-hop icon Snoop Dogg. Before Keaton was 21 years old he was asked to compose music for the motion picture Mercy Streets. Labels began to investigate and eventually he landed a deal with Maverick Records. Keaton released a five-song EP with Maverick entitled "Currently". The EP displays a taste of bluesy, rootsy, guitar-driven songs & ballads, with stylish arrangements that showcase his rich, often spooky melodies. Indeed, the disc's delicate, down-home title track is in rotation at radio stations around America. Recently reaching ..1 on the charts of Tucson, AZ's KWMT 92.9 The Mountain. One of the first to play Keaton's music was influential LA public radio station KCRW, which afforded him the opportunity in early 2005 to play the Universal Amphitheatre supporting Coldplay. Keaton's music has also been featured on LA's ..1 mid-day radio show, KLSX 97.1, "Heidi, Frosty and Frank". Here is where leaks have started of some of the tracks on Keaton's album that were produced by well known producing team, The Matrix. The timing for Keaton's meeting (through a mutual friend) with the Matrix really worked for both. Keaton's songs were thought of as being too alternatively structured to be radio friendly, though many agreed there was something there. The Matrix, just off Avril Lavigne's COMPLICATED, were seeking something to ground them, and reveal the soul in their pop music. The team loved every second of working together, and ended up with an album that was completed just in time for the record label to conclude changes that made releasing such a "big album" impossible. Hence, a move to the beautiful freedom and diversity of CD Baby. 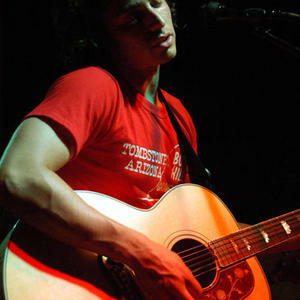 Keaton participated in the 2005 Sundance Film Festival as a part of BMI's annual showcase. Sharing the bill with Vanessa Carlton, Minnie Driver, Joe Firstman and Ben Gibbard (Death Cab For Cutie and The Postal Service). Keaton is no stranger to the world of film and television. It's kind of the family business. Keaton's little stepsister, Emma Roberts, costars with JoJo in the just completed AQUAMARINE. Emma has an album coming out, featuring songs from her television series UNFABULOUS. Keaton's sister, Morgan Simons, is a culinary artist who tries to feed actresses healthfully enough such that they will not need to name their babies after food! Keaton's grandfather, Don Garrett, has been publicist to such world renowned sensations as everything from The Supremes to "The Flintstones". Another of Keaton's grandfathers, screenwriter David Rayfiel, wrote such loved films as "Three Days of the Condor" & "Round Midnight", to name a few. Keaton's grandmother, Lila Garrett (whom Keaton immortalized in the song "Joseph" on which Keaton took the opportunity to play all the instruments including drums, bass, piano, guitar and vocals) has credits and Emmy awards as writer/ producer/ director on pretty much every situation comedy from the 1960s to the 2000s. Keaton and his father, Jimmy Simons, had a chance recently to work together when Keaton appeared on Fox Televisions' MALCOLM IN THE MIDDLE, which Jimmy produces and sometimes directs. Keaton was cast by his episode's director, Bryan Cranston, who also plays "Hal" on the series. Keaton's mother, Eliza Roberts, has made a name for herself as a Hollywood Jane of all trades. From actress to casting director, manager to writer. In her early 20s she became producer of the pre-MTV phenomenon "Don Kirshner's Rock Concert". With baby Keaton in tow, Eliza's show hosted live performances from such acts as Chuck Berry, James Brown, The Brothers Johnson, Donna Summers, Abba, Natalie Cole, and featured early comedy by David Letterman, Andy Kaufman, Michael Keaton and almost Robin Williams - but no one could quite figure out what his act was. Beyond MALCOLM, like many musicians today, Keaton has crossed over into the world of acting, having performed a heart-stopping rendition of Bob Dylan's "Masters of War" on NBC's acclaimed "American Dreams". Keaton will also be seen starring in Henry Jaglom's upcoming feature film, "Hollywood Dreams" (Lots of "dreams" needed to sort through some of the harsh realities of our world these days, it would seem). Keaton's earliest work features his mother, Eliza (Garrett), three months pregnant with him, when she appeared as "Brunella, at the desk" in NATIONAL LAMPOON'S ANIMAL HOUSE.